It's almost Month 8 but I'll post 7 first. Well it has been 4 months since I've posted anything and have a few minutes now so I'll share some info. I just received my 5th bill now on power smart pricing and I am impressed. My last bill showed that my normal bill I would have received would have been $252.70. With PSP my bill was $206.51 that is a savings of $46.28 or 32%. My total 5 months on PSP has been $204.69 and a whooping 40% savings to date. For the second hottest summer on record this is still impressive. Now to explain how PSP works is that you pay what Ameren pays for power on a hour by hour basis. Ameren is still the delivery agent for electricity and they will still charge you about a penny per KWH used. The normal setup for Ameren is that you pay close to 6 cents a hour and a penny for delivery chgs for a total of around 7 cents a KWH. With PSP you still pay the penny delivery but have a hourly chg that fluctuates from day to day depending on various conditions. When I first signed up, electric was running around 3 cent a KWH and I thought this is the ticket. On the flip side of this, I about soiled my undies when during the hottest part of the summer we have had the hourly rate climbed to just over 19 cents per KWH. If you plan your usage right tho this will have little effect on your bill. Honestly I have a LOT of power hungry appliances that I use and have adjusted their usage based on energy saving. I will skip over the simple stuff of CFL bulbs & LED nightlights and stuff and hit the big ones. Air Conditioner: The program I have used works pretty well. First off you need a programmable thermostat. Starting at about 10 pm, I have the AC drop the temp to about 71 degrees. At noon the temp jumps to 78. At 6pm it drops back to 76, then 10 pm back to 72. The program here runs the AC when power is cheaper after 10 pm till noon then sets back when power is highest from noon till 10pm. You pretty much pre-chill the house down and then back off after noon. Yes your AC might run during the afternoon but not as much. My SEER rating on my AC unit is a 13 BTW. Swimming Pool: I used to run the pool pump from 10 am till 6 pm. I have solar heating panels and need to circulate the water thru these when the sun is shining, so had to come up with better solution for this. What I did was buy a smaller pump that only draws 2 amps to circulate water during the sunshine hours and started running the pool pump from 10 pm till 10 am, both on timers. The other advantage of this is that sunlight will dissipate your chlorine and if you run the unit at night, it will be more effective. The pump and the salt generator draw around 15 amps. Ice Machine: I have 2 ice machines that I do not run together. The smaller is a 80 lb a day unit, uses about 8 amps and I use it during the cooler months, the other is a 400 lb a day, uses 15 amps and I use it when it is hot out. ( don't like warm beer at the pool ) I run these off of a single timer that kicks on at about 10 pm and shuts off around 8 am. 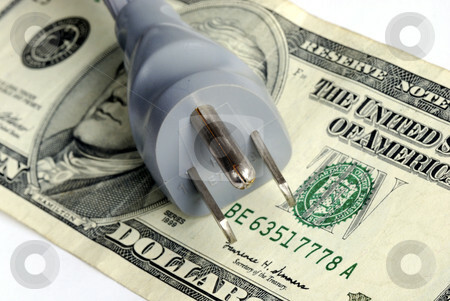 The simple formula I used was currently Ameren charges you 7 cents a KWH - 24-7-365. The brokers that sell electric will give you a flat rate minus the delivery chg which you need to add a penny to and get the correct amount. This too will be 24-7-365. PSP is the hourly rate and you need to add the penny to this also. I use 6 cents a KWH as my standard of "break even" point. Above this and I'm losing money and below this I am saving money. I am not a power guru or even a licenced electrician but if want to email me any questions I would be more than happy to help you out if I can. Saved $30 on my first bill !!! I got the January Act on Energy and see that I am not doing too well on the electric for saving energy. Yes my electric has went down better than the 99% last month but I can account for this. My 12 month rolling average on electric is smaller due to January dropping off. My gas is still below the most "most efficient neighbors" because I insulated my house better and it is warmer this year. Although I would like to keep enrolled in this program, I have found another that may help WHEN I use energy. 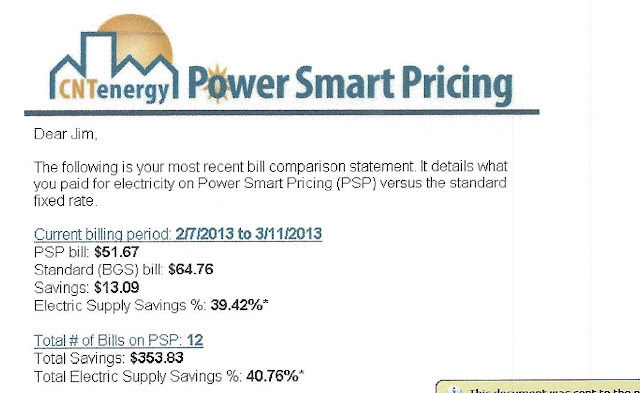 It called the Powersmart program from Ameren. I have enrolled and will be adjusting my power usage on a time usage. Let you know how this works and the adjustments I make as it goes along.